Self-Guided Moose Hunting and butchering Alaskan Bull Moose. 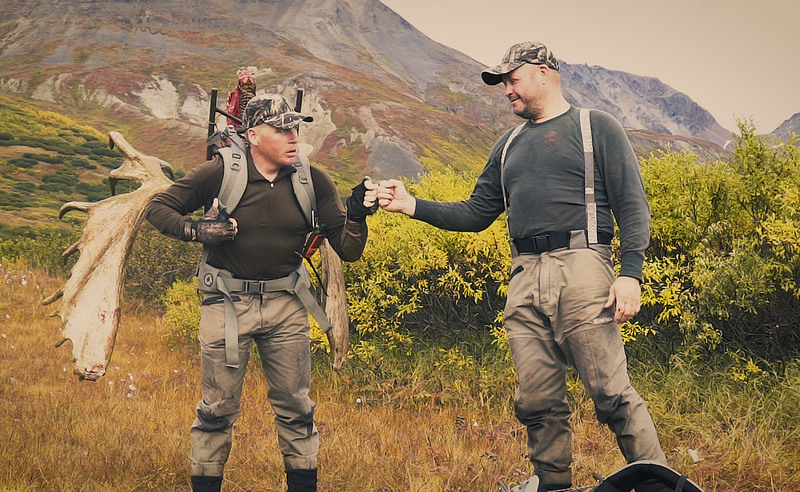 It’s day ten of Ian Harford and Steve Wild’s epic self-guided hunting adventure in Alaska. After tackling the challenging Alaskan wilderness, Ian was successfully able to harvest a massive bull moose. Today, the real work begins as they have the difficult task of packing it out and carrying the meat back to camp. 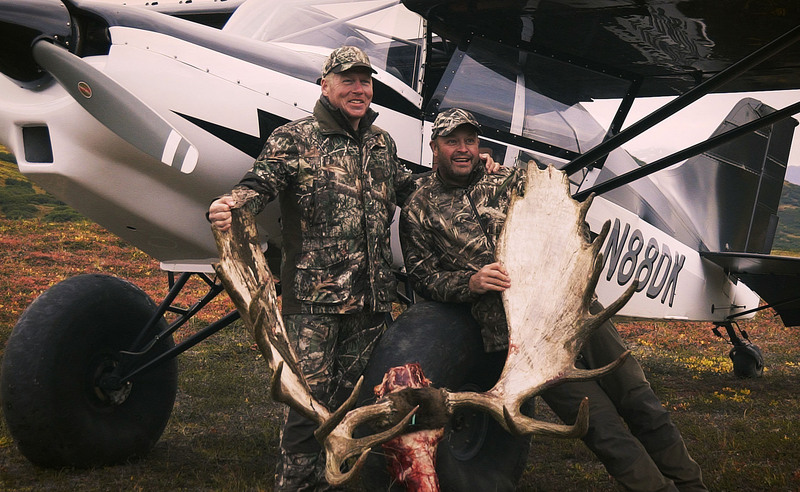 Video: Self-Guided Caribou and Moose Hunting in Alaska Episode 10. 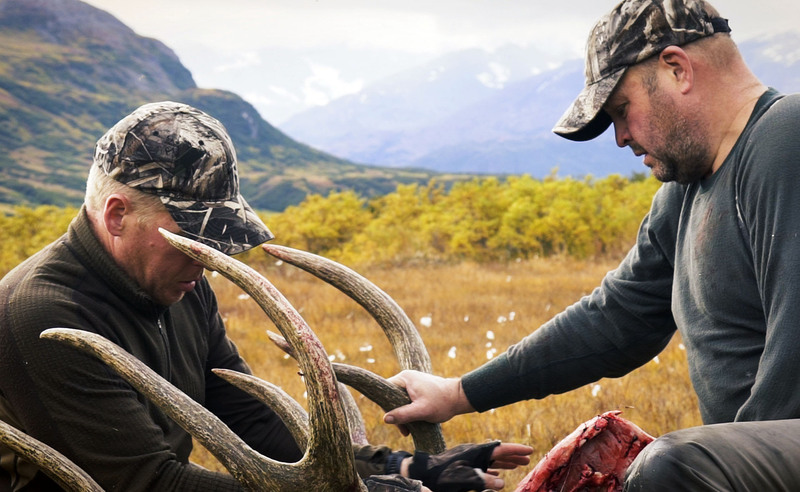 Welcome to Self-Guided Hunting in Alaska on Team Wild TV. After their incredible moose hunt the previous day, Ian and Steve are feeling slightly tired when they wake up. However, they are both eager to get going and head back out into the wild for yet another busy day in the Alaska wilderness. Although Ian and Steve have been gazing this terrain for over a week, they take the time to carefully plan the most advantageous route to their bull. Ian loads his rifle as there is a grizzly bear in the area and there’s a chance it could be feeding on the moose carcass. Steve immediately gets to work packing the giant bull moose. Steve takes time to explain the butchery process, whilst planning the cuts he will be loading into each pack. There are strict rules regarding how meat should be harvested. All meat should be stripped from the bones and extracted and nothing left to waste. With the first load of meat ready to be transported, Ian straps on his pack now full to the brim and heads back to camp. 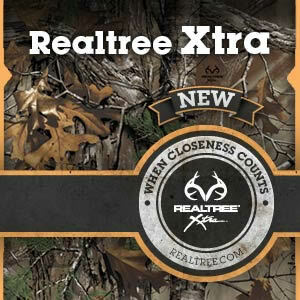 This is one of Ian’s favourite parts of the hunting experience; it’s a time to make a visceral and emotional connection with the fallen animal. It’s a mark of respect for the quarry and recognition of its sacrifice so that others may benefit from the harvest. Now back at camp, Ian drops the first load of meat and heads straight back up to Steve for the next one. By the time Ian returns, Steve has made great progress. The bull is now completely stripped, the meat has been split into manageable loads, and Steve is busy with the final job of cleaning off the skull. Ian gets the next loaded strapped onto his back begins another journey to camp. With bush pilot Cole set to collect the meat after in the evening; Ian and Steve must make sure that all the meat is ready to be taken by Cole. After lunch, they are straight back at it ready to move the last pack of meat and the rack. Although it has been a tough day, they have enjoyed every moment of it. 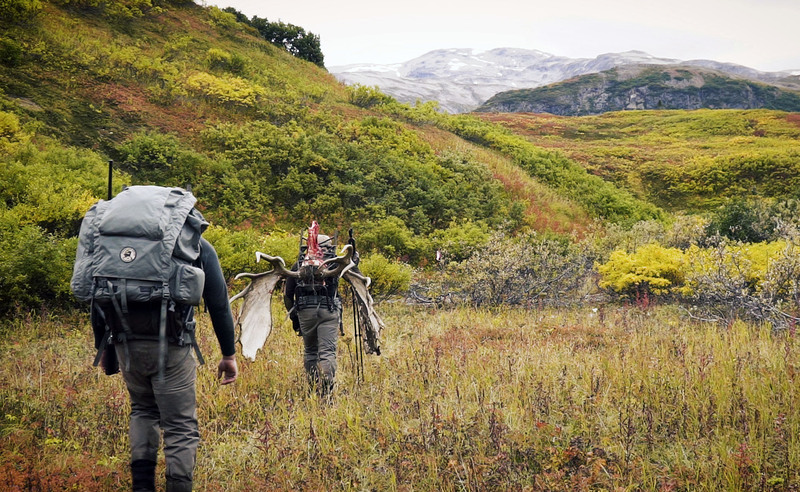 With their packs strapped on, they make their way through the Alaskan terrain one last time. Whilst Ian be taking home the antlers, he has donated the meat to a local family in need. 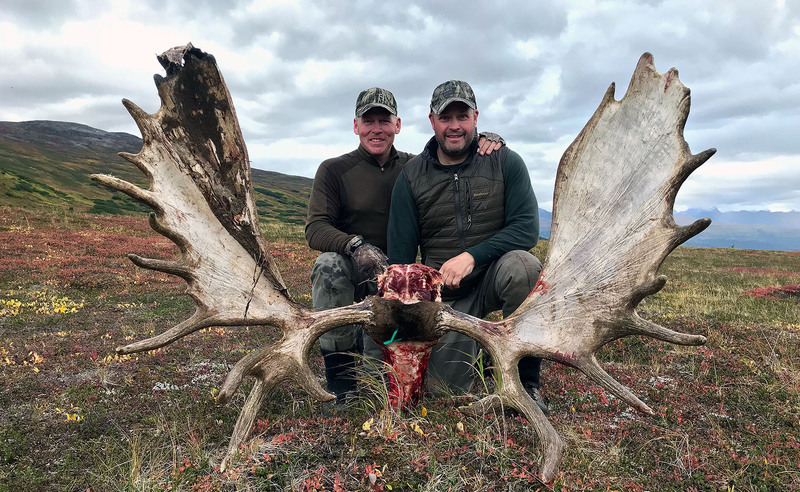 Moose meat is a vital source of protein in this region and Ian is glad to be able to do his part to support those who don’t have the opportunity to hunt themselves. The regulatory system that controls hunting and harvesting of big game here in Alaska is the most sophisticated Ian has experienced anywhere in the world. It delivers a successful, sustainable management programme that will ensure thriving populations for generations to come. And with that, the hunt is nearly at an end. This is their last night in paradise.